Summer is here and boy, do some of us feel the heat! With its coming, we are victimized to welt inducing heat, constant thirst, and above all a limbo of boredom until the next big thing pops up. Well, the folks at Metroplague have been reading a lot of H.P. Lovecraft lately and have crafted you all a Top Ten list of things that you can do during your Summer downtime, while you wait for the arrival of the Great Old Ones. The list starts with the most expensive to the least expensive with links to purchase if desired. Hope you enjoy it and find at least one way to beat the boredom! Leave comments about the items below or suggest any that I’ve missed! Gotta run…Cthulhu is calling me! Mansions of Madness is Clue on acid from Fantasy Flight games that incorporates the cooperative elements of Dungeons and Dragons with the sleek tech of a fun app that controls the game. During the game, players will take on the role of “investigators” and attempt to solve the scenario’s mystery before time runs out and it is too late. The base game is pricey but comes with a few great stories that will provide hours of fun. On the app, there are even more stories to access. Also, if you physically want more, there are plenty of expansions available. Prepare for hours of indoor fun that will help you and the kids beat the summer heat. This game of Lovecraftian lore from Fantasty Flight Games is purely cooperative at heart. 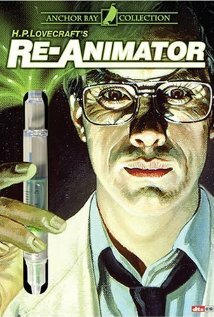 In this game, players will act as “Investigators” who have the responsibility of preventing an “old one” from rising and destroying the world. Arkham Horror: The Card Game is purely cooperative and relies on a lot of luck. You never know where this game will take you, and since this is Lovecraft, there aren’t many happy endings. So be prepared to lose often (Hint: The horrible deaths are half the fun). Gameplay for this one is usually longer for newcomers, with most games clocking in at 1-2 hours. The munchkins have opened the portal to the other worlds! This game plays like all other games of Munchkin. Draw a card, laugh at said card’s artwork and puns, fight a monster, level up, screw your friends over. It’s the perfect equation for a fun game night, just add your favorite alcoholic beverage and munchies. Unlike the previous games, Munchkin requires ZERO set up time, ZERO skill, and a round can usually be played in an hour or less. The price is a bit steep for what you get, but in the end, replaying of this game is well worth it since the game is so random, the chances of you playing the same game are slim to none. So come on down to tiny town and see what fun mayhem Lovecraft has influenced in the world of the Munchkins. 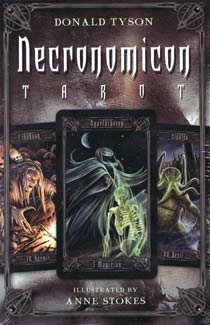 For a fun party trick, or just trying to forsee how your next steamy, summer date will go, look no further than the Necronomicon themed Tarot deck. Lovecraft denied the existence of the ancient readings, but here, its creatures and words come to vivid life through the imagery provided on the cards. Cuddle up with THIS little world destroyer! Yes, with the Summer will come many naps. Why do it alone? Cozy up to baby plush Cthulhu and let his tiny call paint vivid pictures of your dreams. If you feel too old to sleep with a stuffed toy, get one for your kids and babies. It’s never too early to breed an occultist. For the parent looking to introduce their child to the world of Lovecraft. Here it is, the Mini Mythos book series by Kenneth Hite. Here, classic children’s tales like Where the Wild Things Are, Clifford, and The Polar Express are twisted in just the right ways to fit the world of H.P. Lovecraft. Though this is clearly aimed at fans as a collectors item, why not read it to the kids this Summer anyways. My suggestion is, these books are best experienced around a raging fire at a “community dance” deep in the bayou. This classic horror tale is always a fun time to watch with any crowd that can handle it! This one doesn’t even need a description. At the price it is on Amazon, just buy this one if you’re a Lovecraft fan! Cthulhu is dying to wrap some tentacles around this one! If you’re a fan of comedy horror AND a fan of Lovecraft, then look no further than The Last Lovecraft Relic of Cthulhu. This film has plenty of guts to satisfy the gore cravings, while offering enough laughs to keep us entertained on the edge of our seats. It is an indie film, so don’t expect a James Cameron production level. Just tune in, zone out and enjoy! The ancient ones have evolved! Now destroying you via Tablet! If you’re anything like us, you are constantly on the go and probably, save the weekend, don’t have the time or energy to play into the detailed games at the top of the list. Fear not! Fantasy Flight has something for you, and your wallet to enjoy. Elder Sign: Omens is an app game for the tablet. It applies the same story Arkham Horror: The Card Game has, only condenses the game play to a simple screen. One game can take 15 minutes and is relatively fun, serving as a quick and easy boredom deterrent. We read this book a while back, and even now, the lore told in these pages sticks with me. This is a fitting Summer read with its fast pacing, and writing that could easily fit into the world of Lovecraft. 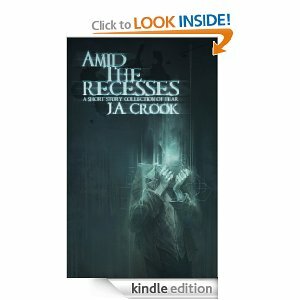 Although this is not a direct Lovecraft companion, it is obvious in Crook’s work, who his influence is. This is a must buy for anyone looking for something new to read this season.